Hyundai’s Santa Fe is a pleasant surprise with excellent interior components, a host of technology helpers, the availability of a third row of seats, and low long term costs making this an ideal family vehicle. The CUV category of vehicles is one of the most competitive in the industry as companies as diverse as Porsche and Fiat offer alternatives to tempt consumers. Hyundai has done well in this segment and the new Santa Fe is extremely competitive in both price and features. Indeed, it has been rated very highly in head to head competitions with only more expensive models rated higher. Dad’s view: The base four-cylinder engine is adequate, but we much prefer the turbocharged four-cylinder engine’s acceleration, although the gas mileage isn’t stellar with 20 mpg in mixed driving being our average. The six-speed automatic transmission is standard and is excellent. The ride is compliant, steering feel is quite good and the brakes have a satisfying feel. Scores for Korean made cars have improved dramatically in recent owner quality reviews and the significant warranty provides comfort for those who have been reluctant to try this marque’s offerings. This model is going to be a concern for the competition with exceptional pricing and value. With it performance and equipment it is nearly unbeatable save for the humdrum fuel mileage. Even with the abundance of players in the crossover utility class (CUV), the Santa Fe is a standout and the turbochared 265-hp, 2.0-liter inline-four is quite capable. The 3.3-liter V6 engine that produces 290 horsepower is a worthwhile consideration for those that use the 5000 pound towing package. All wheel drive is an option. This Hyundai is compelling choice as it offers the ability to travel to the mountains, seashore, desert or just go shopping in quiet luxury that one does not expect in a vehicle with a starting price in the mid-$20,000 range. Adding to that allure is that way it easily handles chores whether it be dropping of the kids at school, bringing home do-it-yourself items, or going out to dinner. Mom’s view: An impressive interior with easy to decipher controls, good forward visibility, and comfortable seats make the Santa Fe very user friendly. The position of the sideview mirrors, however, can block your view of pedestrians. The second row seats are ample, but the third row is quite small as it is for most SUVs in this class. Cargo space is limited and so it is good that the Santa Fe’s seats are easy to fold down to carry larger items. I would highly recommend the rear parking sensors, blind spot monitoring and navigation with an eight-inch touch screen. You can open the power liftgate with the key fob making it much easier to use as part of the must have Premium package that even includes lane change assist and rear cross-traffic alert, an auto-dimming rearview mirror and rear window shades among other goodies. Safety wise you the Santa Fe standard equipment includes a vehicle stability system, traction control, seven airbags including a driver’s knee airbag, four-wheel disc brakes and ABS with electronic brake-force distribution, brake assist, hill-start assist control, downhill brake control and a tire pressure monitoring system. Crash scores were very good, but from a mommy standpoint the Santa Fe is a vehicle I would want to carry my family as it does not shortchange safety. Young woman’s view: You must order the $4,350 Ultimate with heated and cooled front seats, parking sensors, memory seats, and a larger touchscreen display screen. The center stack is well organized and the ride is much improved over previous models. However, this isn’t a canyon runner. There are faster compact utility vehicles, but none really have offer the combination of ride, performance, and value. It is quiet, conventional looking, and doesn’t attract unwanted attention. Getting in and out when wearing a dress is not a problem and the controls are easy to reach and activate even if you have longer fingernails. The rear liftover is a bit high for me, but the automatic rear hatch negates any problem related to reach. Young man’s view: Bluetooth and a USB port are standard as well as a very clear rearview camera. Other standard features include alloy wheels, foglights, a windshield wiper de-icers, cruise control, heated front seats, a 40/20/40-split sliding and reclining second-row seat and a 50/50-split flat-folding third-row seat. Also standard are Hyundai’s telematics system and a six-speaker audio system with CD player, satellite radio, HD radio, USB/iPod integration and a 4.3-inch touchscreen display. I would recommend a close look at the many technology options available on the Santa Fe including the really nice 12-speaker Infinity audio system. This vehicle is surprisingly interesting even if it isn’t the sexiest CUE on the block. 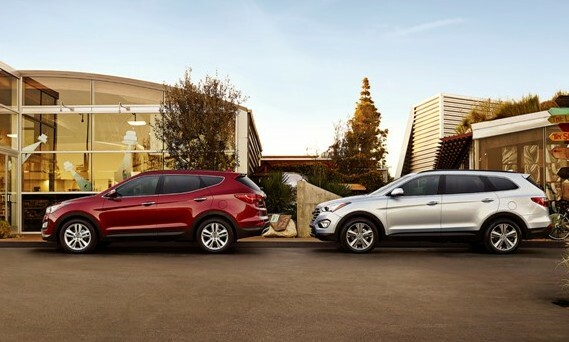 Family conference: If you are looking for a lot of car for the money, the Santa Fe and smaller Santa Fe Sport are must drives. The cabin is very nice, almost elegant, and the menus and functions are intuitive and fast reacting. Putting these traits together in a price range that is thousands under most competitors makes for a persuasive argument. No doubt Hyundai has put safety first with its Santa Fe models. I have asked my care giver for a walk or ride every day this week without luck. I have tried to remind him that the new Persian carpet is tempting, but he has ignored my threats. I have developed new plan: guilt. After reading about the Jewish Guilt Syndrome I have decided to give it a try. I think it has a good chance since Hanukkah and Thanksgiving coincide this year, probably for the last time in a million dog years. I have practiced my beaten dog look in front of the floor length mirror. I just have to remember not to be saucy. It almost worked. He fetched my leash, checked two websites for good places to walk when suddenly the plan fell apart. Apparently, the Center for Pet Safety researched dog restraints and only one model they tested passed and I didn’t have it. On the other hand, the big guy did promise he would buy one. In the meantime, he grabbed a handful of his fast depleting cache of plastic grocery bags and took me for a walk around the neighborhood. It felt good to make my marks in and proud to be a quadruped. Life is good. I saw the big guy looking for ideas where to take me. I decided to help out and suggested he use the Yelp website. I love that name. He typed in the name of our city and asked for dog walks and out came the results with reviews and even photos. I was pushing for the Cold Creek Trail and he caught my drift and agreed. Better yet, he ordered me the highly rated harness that The Center for Pet Safety mentioned. All I can say is that after looking at the restraint he bought me I was glad to be color blind. Oh, he did mention that since I was pushing a (muscular) 60 pounds that if I was not correctly fastened I could become a 2700 pound projectile if the car was in a crash doing 35 mph. I could have lived without that image. No wonder a thrash my legs when I nap. A new scent in the garage. I had noticed that the recycle bin had been especially full of colorful brochures of late and I can recognize images of cars. Good grief, I chased my share of them before I was picked-up by animal control and neutralized. Luckily, my new caretakers rescued me before long and here I am writing this post, which in my case, is a very clever title from a dog’s standpoint. Anyway, he narrowed the decision to three. 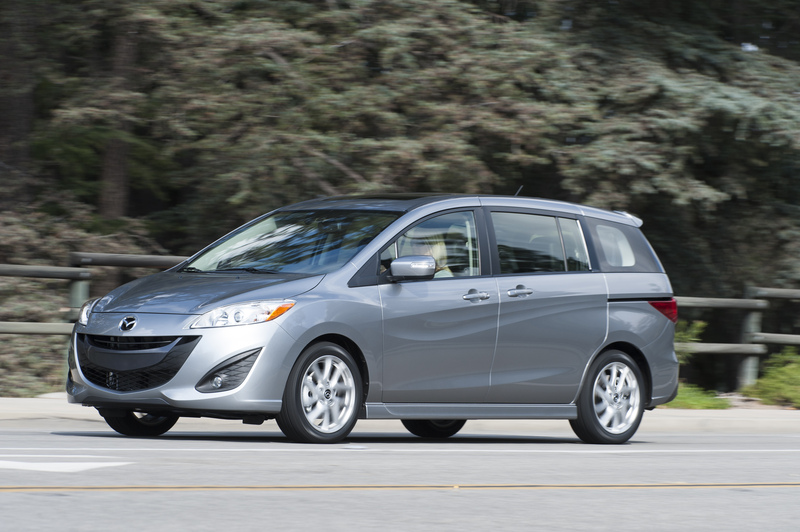 The Mazda 5 is fairly inexpensive with easy to open slider doors and a low hop over entry height. I also liked the air outlets for the second row and the gas mileage was exceptional. 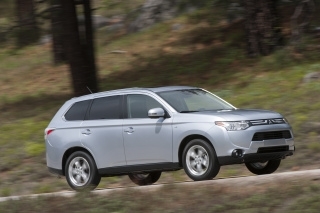 The Mitsubishi Outlander has a third row of seats that can be folded down to provide ample storage space for a dog crate. This bargain priced SUV was another finalist until I advised the big guy that being in a crate wasn’t such a good idea as I could still be tossed around during an accident despite the 30 plus miles per gallon rating and noteworthy pricing. 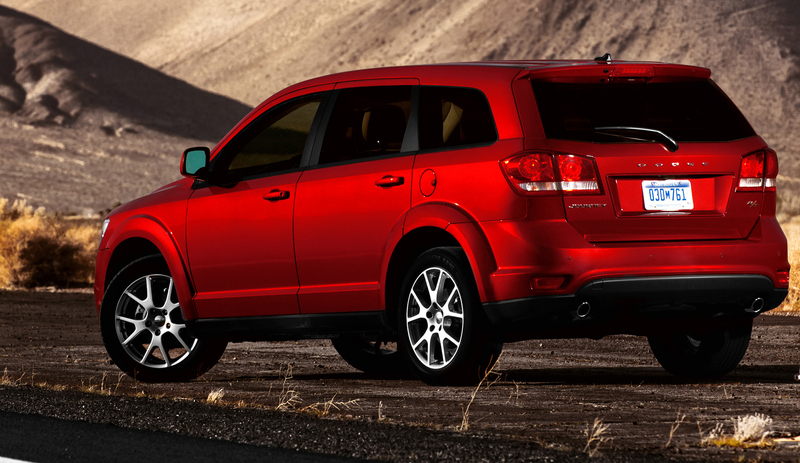 The same could be seen for the underrated Dodge Journey. Great value, plenty of features and room, and surprisingly easy to buckle-up in. 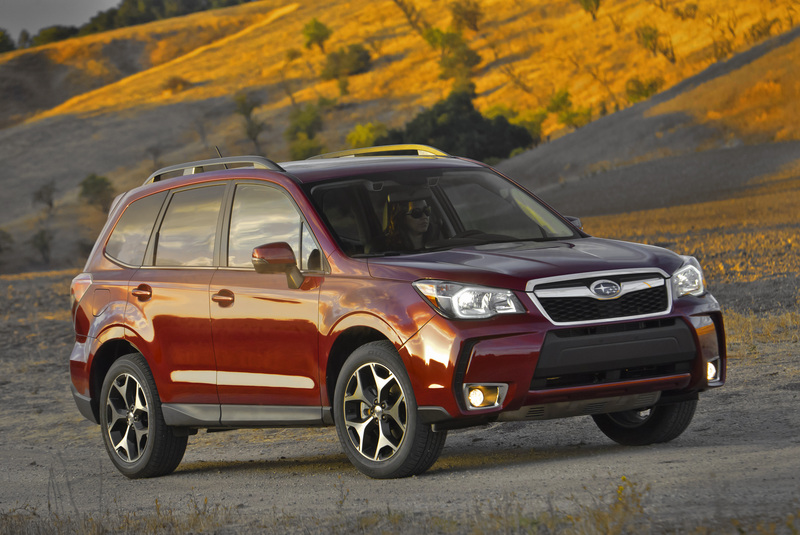 The finalist, much to my delight, was a Subaru Forester. Coincidentally, Subaru has several dog friendly options and sponsors The Center for Pet Safety. The Forester was fun to ride in and the all wheel drive opened up the possibility of reaching more adventurous trails. It also carried a 22/29 mpg rating. The elevated seating made it easier for me to check on what other dogs were cruising. And trust me, there were a lot of dogs, if you get my scent. My keeper loved the hill holder feature that held the car motionless on grades even with a stick shift, enabling the Subaru to start jerk free. And being jerk free is always a good thing. By the way, the local Ontario Subaru dealer refused to let me have my picture taken in at the dealership. We walked around the block and the Mazda dealership was happy to let us there. Thank you Romero Mazda and move Mazda into the top spot for dealer friendliness. I decided to splurge on a gift for my keepers and pointed out the MapMyDogWalk free app to them. It tracks the distance I drag them, locates dog parks and they can even share my deeds with others. In the meantime, I think I’ll go outside and sniff around for Tribbles. Doodles: Could these be the Perfect Family Pet? Comments Off on Doodles: Could these be the Perfect Family Pet? Golden Doodle and LabraDoodle: Could these be the Perfect Family Pet? We can’t help but be amazed at Man’s creativity when it comes to canines. Dogs were the first animals domesticated and with that came the ability to control cattle, goats, sheep, as well as being a hunting partner and protector. Since all dogs come from the much maligned wolf, one has to wonder how this transformation from wild animal started. Research done in Russia on foxes revealed that some were more inclined to interact with humans. Those were bred and over time these animals gradually became less fearful of humans and even wagged their tail, among other things, showing how domestication might have evolved. Today, the world’s largest dogs weigh over 300 pounds and the smallest just a few pounds and yet they are from the same wolf stock. Indeed, Man is still at it and within the last couple of decades a new breed has emerged that combines the traits of three of the most popular and intelligent dogs. 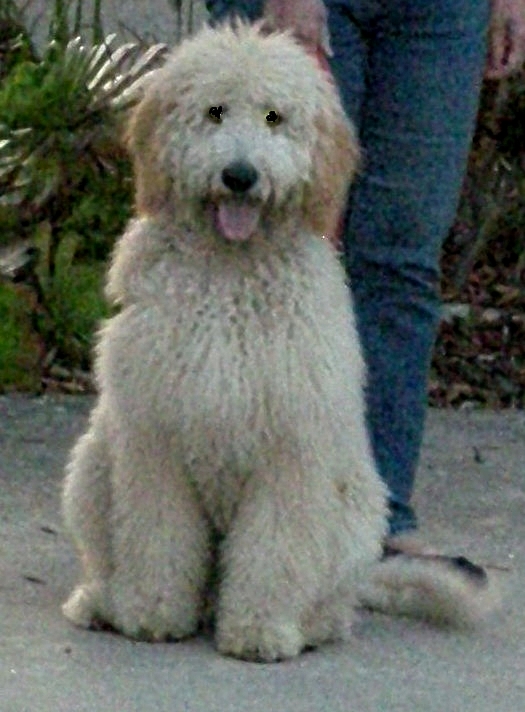 The new breed can be called a Labradoodle or a Golden Doodle, depending on whether a Labrador Retriever or a Golden Retriever was bred with a poodle. They come in three sizes with a weight range from about 20 pounds to over 100 pounds. The breed started in Australia as breeders attempted to find a guide dog for blind individuals who had allergies. The result was a success and has so quickly caught on with the public that in ten years its has gone from number 159 on the list of most popular breeds to number 31, according to the AKC, which, ironically, does not recognize it as an official breed. 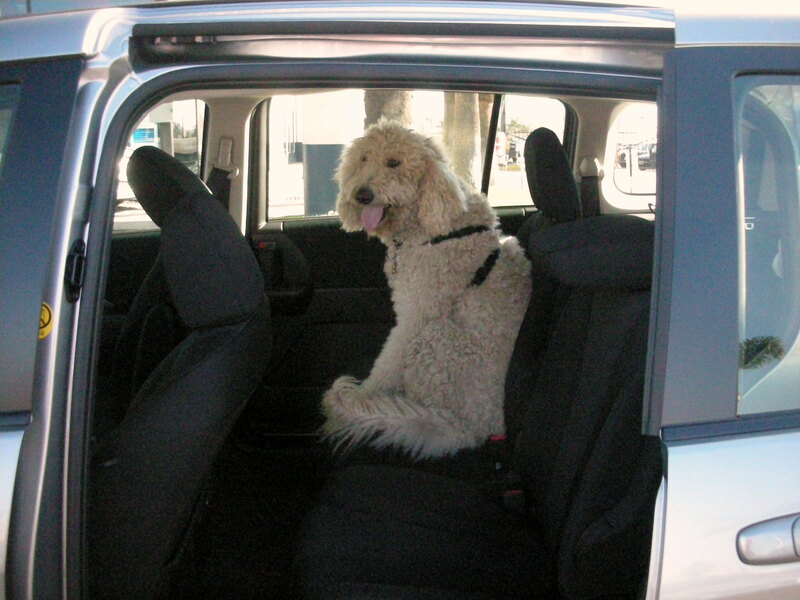 Doodles are very affectionate and gentle dog and are usually highly social and get along well with everyone. They can be good good watchdogs, but not guard dogs,as they usually are into tail wagging as opposed to growling. They are exceptional service dogs and have been listed as one of the best breeds with children. 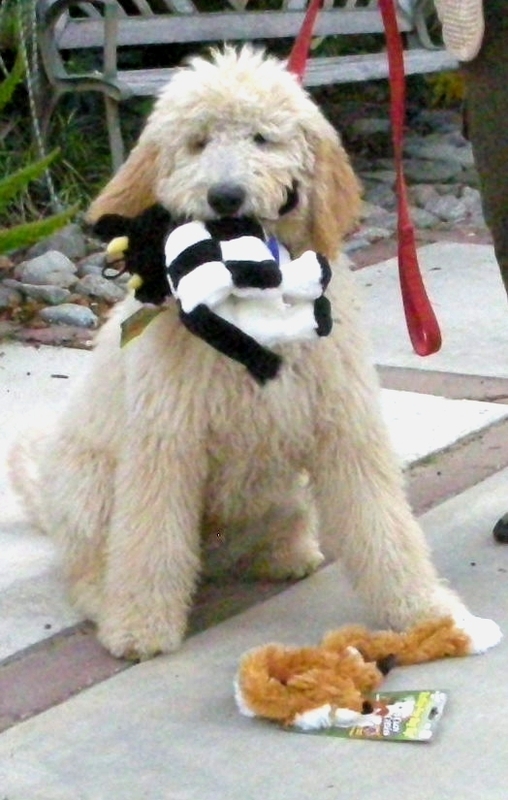 The Doodles are called designer dogs or hybrids because you never know which characteristics from the two parent dogs will be exhibited. Those variables include coat color, type of hair, and size. The two traits they appear to all have is that of an exceptional intelligence and being people friend1y. 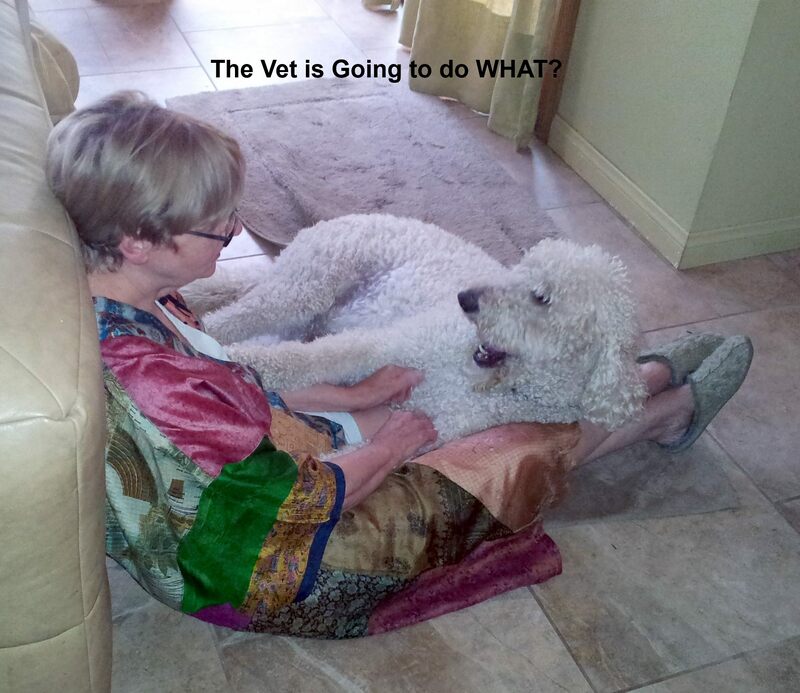 The Doodle are easy to train and respond well to positive reinforcement. They usually love to swim, and are good retrievers to the point that you may end up with a dead gopher or bird on your doorstep. Good dog. Another valuable aspect is the fact the Doodle can be a non-to light shedders and thus may do well with those who have allergies as they have less dander. The Doodle coat be wavy or curly or both and they need to be have their hair trimmed regularly. Coat colors can be caramel, white, red, black or a combination .The cost of trimming and maintenance can be dear, but if you aren’t fussy, you can do it yourself if the Doodle doesn’t mind being laughed at on visits to the dog park. The Doodle appears to have the traits people are looking for with its possible reduced allergenic traits, smarts,cheerful disposition and attractive look. But perhaps the greatest reason this dog is one of the fastest growing in popularity is the fact that owners can proudly claim that have a Doodle and enjoy the reaction. And yes, several have been named, Yankee.